No more exhausting scouring and scrubbing! 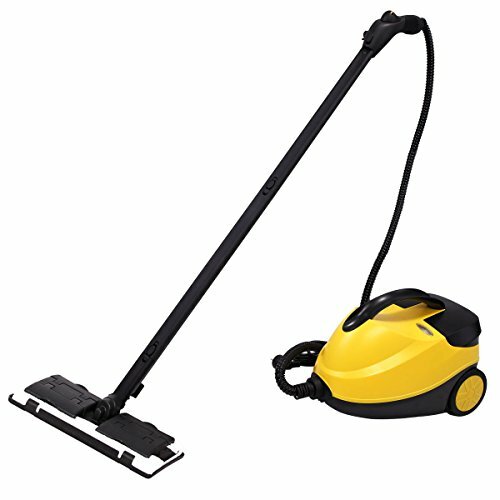 The highly efficient steam cleaner allow effortless cleaning and care throughout the house for perfect cleanliness. This steam cleaner will let you clean a huge range of surfaces in your home, getting rid of dirt and killing bacteria. Your home will have never been safer or looked better with this steam cleaner. The units are versatile and replace thanks to numerous optional accessories, a variety of conventional cleaning utensils. The classic applications include common household hard flooring throughout the living area, the kitchen and the bathroom. With unique patented technology by using high temperature and steam pressure to clean floor, windows, lampblack machine, air conditioner and microwave oven. No chemical reagent ,almost zero injury of cleaning items. High sensitivity of the temperature control system. Automatic power off when water used up. If steam pressure in the boiler is too high, it will be released directly. Super thick aluminum boiler with die-casting design can make quick heating up time and long life usage. Special heating pipe with the boiler integration design make it complete heating with high efficiency & energy conservation. If you have any questions about this product by Mybesty, contact us by completing and submitting the form below. If you are looking for a specif part number, please include it with your message.